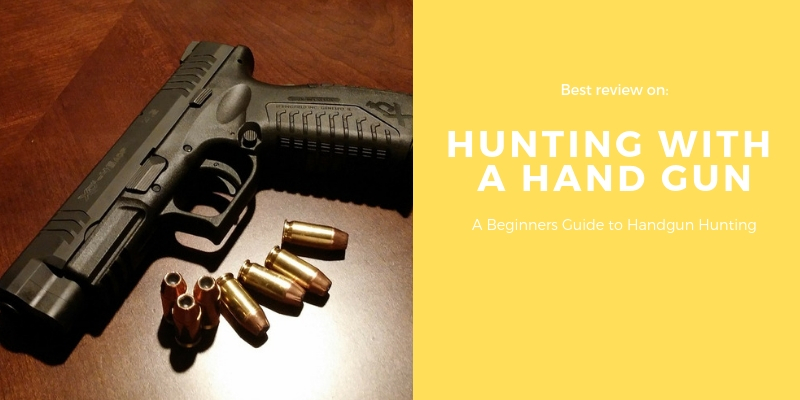 It doesn’t matter whether you’re a handgun shooter who has never hunted, a hunter who has never handgunned or a novice who has done neither–there is no better introduction to handgun hunting than the pursuit of small game such as squirrels and rabbits. First, if you can master the skills necessary to be successful with a rimfire pistol on quick-moving little targets at relatively close ranges, you’ll have little difficulty graduating to larger game or to long-range centerfire varminting. Second, small game hunting is easily accessible anywhere in the United States. And third, when hunting small game there is simply less at stake should you blow a shot. So what do you need to know, and what do you need to have, to start out? Most people would jump right to guns and loads, but before you consider equipment, you need to be straight on the fundamentals. The most important things to understand about handgun hunting are to know the quarry and how to approach it to within killing range. If you have already hunted small game with rifle or shotgun, you’ll find no need to hunt them any differently with a handgun. You’ll stalk and approach them just the same, and you don’t need to get any closer to make a shot. The next step is to consider the question of marksmanship. How good a shot do you need to be to hunt responsibly with a handgun? There seems to be a feeling among non-handgunners that there are special skills or a special level of marksmanship needed to use a handgun. The squirrel peeking around a hickory tree branch 25 yards away doesn’t shrink in size just because you are carrying a pistol instead of a rifle. A two-inch target is a two-inch target. Of course, I freely admit that most people find it easier to hit that two-inch target with a shotgun that throws out a two-foot cloud of pellets at 25 yards or with a shoulder-stocked .22 rifle that can be braced and held against the mass of the body. But if you are thinking about getting started in handgun hunting, this is more likely an attraction than an obstacle. Handguns firing .22 Mag. ammunition provide same bullet effectiveness as .22 LR ammunition in 24-inch rifles. From top: S&W; M651 four-inch Kit Gun, Taurus 6 1/2-inch Tracker, Ruger 6 1/2-inch Single-Six with auxiliary .22 LR cylinder. It is more of a challenge to hit a soda-can-size target at 25 yards with a pistol than with a rifle or shotgun, and that’s precisely why more and more hunters are changing from long guns to short guns. For these folks, hunting squirrels or rabbits with a shotgun or scoped rimfire rifle is just too easy to be fun. Now let’s consider guns and loads. Small game handgun hunting is primarily a rimfire task. I know guys who take pride in making head shots on squirrels and rabbits using nothing but full-metal-jacket .45 ACP or 9mm ammo from centerfire, service-grade autoloaders, but for all-round capability, the .22 rimfire is by far the best choice for a hunting beginner. But which .22 rimfire? Choosing a cartridge comes before selecting a gun. For the vast majority of handgun shooters, .22 rimfire automatically means .22 Long Rifle. But for handgun hunters, there is another .22 rimfire that provides a serious alternative: the .22 Win. Mag. Rimfire, commonly known as the .22 Mag. The .22 WMR was primarily intended to be a rifle cartridge when Winchester introduced it in 1959. It achieves more than 2,000 fps velocity out of 24-inch barrels, which is about 55 percent more than a high-speed .22 LR cartridge delivers. In handguns with barrels in the four- to six-inch range, the story is interestingly different. 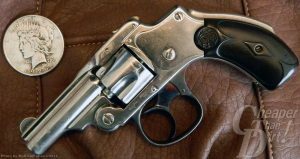 In general, a 6 1/2-inch .22 revolver like a Ruger Single-Six will send a 40-grain high-velocity .22 LR bullet downrange at about 1,100 fps; a four-inch revolver such as a Smith & Wesson Model 34 Kit Gun will produce about 1,025 fps. That same .22 LR load from a 24-inch rifle clock 1,255 fps. On the other hand, a 40-grain .22 Mag., which hits 1,910 fps in a 24-inch rifle, produces about 1,325 fps from a 6 1/2-inch Ruger Single-Six and about 1,250 fps from a four-inch S&W; Model 48 .22 WMR revolver. The ultimate hunting handgun is the one of the few ever designed solely for hunting use: the Thompson/Center Contender. You can pull out a calculator and figure the percentage ranges if you want, but the overall point is obvious. When you fire .22 Mag. rimfire ammo in handguns with medium-length barrels, you get essentially the same ballistic performance with bullets of the same weight as when you fire .22 LR ammunition in full-length rifle barrels. Hunting with a six-inch .22 WMR revolver is the same as hunting with a 24-inch .22 LR rifle–actually a bit better–as far as ammunition performance is concerned. 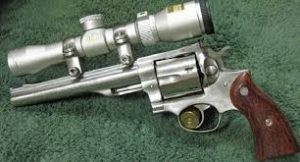 This is one of the reasons that one of my favorite rimfire hunting handguns is a single-action Ruger Single-Six revolver, which comes with interchangeable .22 LR and .22 WMR cylinders. I can shoot any type of .22 rimfire ammunition from .22 Shorts or BB Caps to the full magnums in this same gun, which makes considerable economic sense. There are a variety of .22 WMR/.22 LR convertible revolvers on the market, as well as the versatile Thompson/Center Contender. Choice of specific load, in .22 LR or .22 WMR, is another point to ponder. There are literally scores of makes and types of .22 LR ammo on the market, as well as about a dozen different available .22 WMR loads. Test as many as you can get your hands on, searching for the load or loads that are reliably accurate in your gun. For small game handgunning, the main choice is between hollowpoints or solid bullets. When hunting squirrels or rabbits for skillet or stewpot, a poorly placed hollowpoint can ruin meat, so many hunters prefer solid-bullet loads. But it is also true that squirrels and rabbits display remarkable tenacity and can escape after taking hits from solid bullets. Over the years I’ve finally decided that I would rather have a quickly dead animal with some loss of meat than to wound and not recover an animal. So I use conventional high-speed hollowpoints for all my small game hunting, and I work to get a headshot whenever possible. In recent years this dichotomy has been softened a bit by the appearance of various “semi-hollowpoint” .22 LR “game bullet” loads from several manufacturers; these are designed specifically for small game hunting. Powered to more moderate velocities, such loads provide a more limited degree of expansion than typical high-velocity hollowpoints and are less destructive of tissue. Unfortunately, most of these loads have not enjoyed great market success, and because they were designed specifically for optimum performance from full-length rifle barrels, they behave more like solids when fired from a handgun. On the other hand, high-speed hollowpoints in handguns perform like these game bullets in rifles, so the handgunner’s solution is obvious: Use hollowpoints. More hunters have turned to small game handgunning for the challenge of stalking close and shooting at tiny targets. What type, make and model should you select? Virtually any sport-grade .22 handgun in existence, any type of action and any length of barrel will serve you just fine as a small game hunting tool. The versatility of an interchangeable .22LR/WMR revolver like the Ruger Single-Six cannot be surpassed, and it can handle any type of small game hunting task. But all single-action revolvers have a long trigger pull compared to a cocked-action trigger of a double-action gun. Among double-action rimfire revolvers, Smith & Wesson’s small-frame four-inch stainless Model 63 .22 LR Kit Gun is a super lightweight and compact hunting tool for the hiker and backpacker, and I’ve filled more than a few camp kettles with my two-inch, snub-nosed version of this little gem. For no-frills performance and reliability, any of Taurus’s recent double-action .22 revolvers are good choices. I especially like the new midsize Tracker models. Many seasoned small game hunters like autoloaders. I appreciate autoloader the most when, for example, a running cottontail breaks from cover and makes a mad dash. I’ve been known to need more than one shot in a hurry in those situations. Top choices include any of Ruger’s extensive Mark II line or any of Browning many version of the BuckMark pistol–some of which come straight from the factory set up for hunting with long barrels and Weaver-type scope mount bases. For small game, a two-inch target at 25 yards is a reasonable marksmanship standard because it approximates the kill-zone–head or heart/ lung–for virtually all types of common small game. With practice and a good gun, sights and ammunition, you can easily stretch that to 50 yards. Practice is easy. Just put a two-inch target at the range at which you want to begin. I’d suggest 10 yards or so if you’re new to handgunning. Bullseye paper targets, black Magic-Marker dots on copy paper, soda cans set end-on work just fine. Zero your gun carefully from a stable rest, then practice from the shooting positions that you expect to use in the field. If you plan to take shots at squirrels leaning braced against a tree, practice that way. If you expect to take shots at cottontails in an open grassy field while standing unsupported, practice that way. Practice until you can hit the target, on command, at the distance you choose, every time. Then, when you’re in the field and your quarry shows itself at that same distance, you’ll know it’s yours. Will it take more practice time to get to that level with a pistol than with a shotgun or rifle? Likely so–but that’s what it’s all about. My favorite .22 auto pistol for hunting is the Smith & Wesson Model 22 series–not because it has a superior trigger pull or better accuracy than other .22 autos but because of its quick-change barrel feature. To switch, you just lock the slide back, press the locking button at the front of the frame and lift off the barrel. The sights are entirely barrel mounted, so if you take off the iron-sight barrel to replace it with a scope-sighted barrel, you are still zeroed when you switch back. I occasionally use the metallic sights for cottontails and switch to a scoped barrel for squirrels. Finally, there is the Thompson/ Center Contender single-shot, which is really a whole family of handguns in one gun. The interchangeable-barreled Contender is the most popular and most versatile hunting handgun on the planet. It is one of the few handguns ever designed specifically for hunting and was designed in particular for small game hunting by a man whose greatest passion was shooting rats in New England’s small-town dumps. With a 10-inch .22 LR barrel, the Contender will give you over 1,200 fps velocity from an ordinary high-velocity cartridge, which is close to what rifles of the 181⁄2- to 22-inch barrel length can provide. Put a 10-inch .22 WMR barrel on, and you get more than 1,700 fps velocity from a 40-grain hollowpoint, which actually moves the gun up from the “small game only” category into the 100-yard woodchuck class. And, of course, T/C offers 14- and 16-inch barrel options. Perhaps the best thing of all about the Contender as an introductory gun for a handgun hunter is that it requires you to pick your shots, call your shots and think carefully about marksmanship. Plus, with a Contender you remain familiar with it as you move from rimfires and small game to centerfire rounds and big game or long-range varminting. All you have to do is change barrels. Handgunning small game is a rewarding outdoor pastime, and for most of us it’s waiting not many miles from our backyards. By the way, have I ever told you about how much fun it is to stick a .45/.410 shotshell barrel on a Contender frame and go out for quail? Now that’s really handgun hunting.